Swarovski is a well-known company famous for the produce of high quality crystals, variety of colours, and special effects. They offer crystals of many different shapes and sizes. These crystals are used for making jewellery and decorating fabrics, items, and interior. "Dve Šmizle" LLC and Swarovski have signed the contract on wholesales of the crystals, so the crystals are imported directly from them. Unopened and original packages of SWAROVSKI crystals can be ordered from us. Small amounts of the same crystals can also be purchased from us. 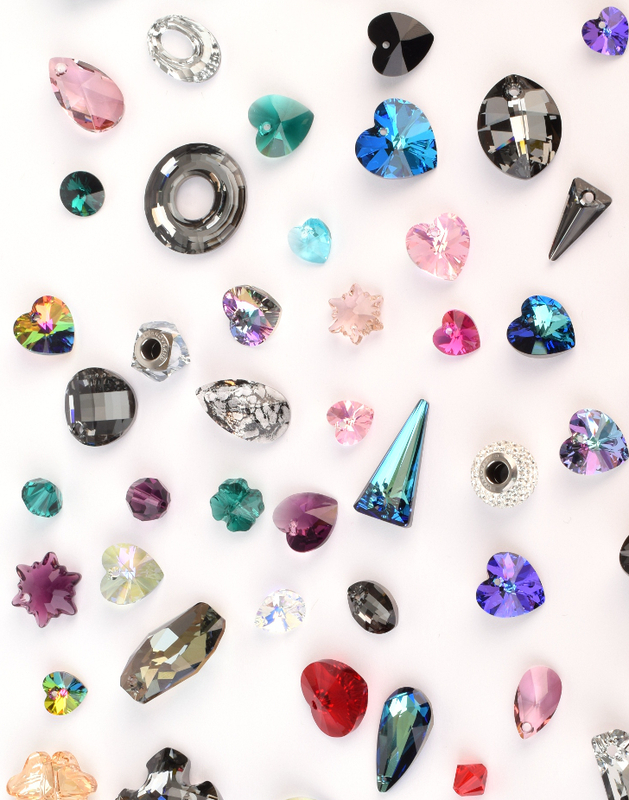 Feel free to visit our Hobby Dve Šmizle and see for yourself the variety in offer of crystal pearls, pendants, crystals for decorating fabrics, and buttons. For every order or advice on crystal use, do not hesitate to contact us via e-mail or phone.